Despite the more expensive monthly cost and additional initial fee, fibre optic broadband continues to be more popular with many homes and companies for the promise of its superfast speeds and reliable connectivity. As compared to copper based ADSL 2+ broadband which offers maximum speeds of 17Mbps, fibre broadband can offer 5 – 10 times faster speeds and also guarantees that you could get speeds closer to the advertised speeds. With the currently available 35Mbps/67Mbps/108Mbps/213Mbps connection speeds (average user speed) over fibre optic network, you could be assured of much better user experience when you use the real-time, bandwidth-hungry applications like online HD television and online gaming. Fibre broadband is ideal solution to cater the needs of homes with multiple internet users as everyone can get faster speeds, whether it is for streaming HD videos or making big downloads or social networking. After a decade of fibre rollouts by government schemes and private investments, the United Kingdom has now reached 96% of fibre broadband availability in 2017. Openreach’s fibre to the cabinet (fttc) network is the primary supplier of fibre broadband which currently has currently reached 95+ UK coverage with fibre services being supplied through BT as well as Openreach based ISPs like Sky, TalkTalk, Plusnet and EE. The best way to discover the availability of fibre broadband providers, packages and the latest offers is to use our postcode checker which also includes price calcultor accredited by the goverment watchdog Ofcom. More than half of the premises in the UK can now access ultra-fast speeds (100Mbps+) after a nation-wide speed boost initiated by BT and Virgin Media. Virgin Media which offers cable based fibre broadband has upgraded its network to 200Mbps and 300Mbps services for residential users. Its £3bn Projection Lightning rollouts is all set to increase Virgin Media fibre broadband from 13m to 17m UK homes by 2019. The cable operator would connect 2m premises in major cities to its ultra-fast, FTTP networks which can offer 350Mbps+ speeds. Fibre broadband uses the next generation technology and fibre optic cable to connect homes with exchanges as optical fibre cables are ideal for faster transmission of data over long distances. 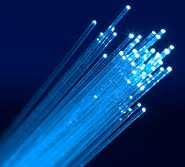 Due to the expensive nature of the technology, fibre networks (fibre to the cabinet) use fibre optic cables only up to street cabinets from where the connections come to homes via copper wires. This type of installation is called Fibre to the Cabinet (FTTC) which is mostly used for residential connections in the UK. You can get maxium download speed of 80Mbps and upload speed of 20Mbps over FTTC lines. Both BT and Virgin Media use FTTC, however, Virgin cable broadband uses coaxial cable between the cabinet and homes, rather than copper which BT makes use of. Coaxial cable allows Virgin Media to deliver faster speeds than what BT offers over its FTTC network. The second type, Fibre to the Home / Premises (FTTH or FTTP) use fibre for the entire installation of the line, right from the exchange up to the users’ premises. BT’s FTTP service which is currently available in selected areas offer download speed of 100Mbps/110mbps/330Mbps. The service also requires you to pay one-off installation fee. FTTH, also known as pure fibre broadband is also offered in selected cities, towns and rural areas by small ISPs like Hyperoptic, Cityfibre and Gigaclear. Maximum speed that you can theoretically expect from fibre broadband is 1Gbps or 1000Mbps or even more. However, headline speed over ADSL broadband lines is limited to just 24Mbps which can reduce to 7 to 10Mbps at homes as the speeds of copper networks (ADSL) generally degrade with the distance between users and the exchange. Distance, the quality of wire, number of users and interference have biggest impacts on ADSL which becomes unreliable at times, at some locations. Fibre broadband is not affected by these factors so its headline speeds, whether 30Mbps or 76Mbps or 100Mbps, only marginally decrease at the premises. Upstream traffic over fibre optic lines is also 15 times+ faster when compared to upload speeds via standard, ADSL 2+ lines. This ensures the reliability of fibre broadband while its five times faster speeds also decrease the download time of files, music tracks and DVD films in the same ratio. Fibre broadband is better option when your internet activities include watching online videos & TV shows, downloading large files and playing online games. It is ideal to have fibre connection rather than ADSL at your home when there is heavy use of internet or multiple users go online simultaneously.